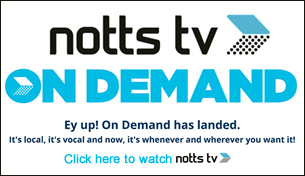 Receive regular updates about What’s On in Nottingham straight into your inbox. Sign up to Stay Connected. Ticket Prices: Adults £6 | Concessions £5 | Child £4 | Family £18 VIP gondola £40 (max 4). Trips last 12 minute and gondolas are completely enclosed so you’re protected from wind or rain. Visit www.nottinghamcity.gov.uk/wheel for details. Over 40 free arts and culture events in Nottingham city centre. Do something different on a Friday night! Take part in a fantastic night of discovery as Nottingham comes to life this Light Night: Friday 6 February 2015 from 6pm till late! Visit www.nottinghamcity.gov.uk/lightnight for more information. Enjoy a special Chinese New Year celebration at Nottingham Lakeside Arts, Highfields Park. Click here for more information about Chinese New Year.